Money for the Louis Dreyfus drainage project will come out of Dreyfus Tax Increment Finance funds. The Kosciusko County Council approved $186,300 from the TIF for the project at its meeting Thursday evening, $73,000 more than was originally requested two years ago. Councilwoman Joni Truex said in 2017 the County Redevelopment Commission originally recommended and the County Council approved $113,000 of the Louis Dreyfus TIF to be used to control flooding issues due to land use changes and heavy rainfalls at that time. “Then what happened, Louis Dreyfus, as a favor, temporarily stopped discharging their cooling pond into county drains until the larger drain could be installed. And the drainage problem resolved itself; we didn’t have any heavy rain problems,” she said. County Surveyor Mike Kissinger, to save money, surveyed the project himself instead of hiring someone to do it. The Redevelopment Commission renewed the request for TIF funding in 2018 and the County Council approved that request. On March 14, the Redevelopment Commission met and the request was presented for the Dreyfus drainage project to be funded from the TIF. “This included the original amount and additional dollars needed,” Truex said, noting that all the details were provided to the Redevelopment Commission and the matter was tabled. A special meeting was held the following week in which the request was unanimously approved for up to $186,300 based on bids. The project will be bid out. “This will allow the entire area affected by the flooding to be reconstructed based upon engineering recommendations,” she said. She said the TIF district has enough funds to meet the request. “Those TIF funds are only there because Louis Dreyfus created that. They’re also the ones that, they admit they did do the land use change because when they moved from agriculture to commercial, it does change the way things are drained,” Truex said. Councilwoman Kim Cates asked if the delay in the project was the reason for the $73,000 increase or was more added to the project. “We’re going further west, and also the drainage pipe had increased significantly in size. When the ... engineering study got done, they found out that they were not as large as they needed the tile to be,” Truex responded. Kissinger told the council the money will be a “one-time deal.” Going forward, any maintenance done on the drain will come out of its drainage fund. The County Council unanimously approved the $186,300 to come from the TIF. • Three additional appropriations for the Kosciusko County Sheriff’s Office as requested by Capt. Chris McKeand: a $20,000 grant from the Indiana Criminal Justice Institute for DUI enforcement, a $38,400 grant from ICJI for Operation Pullover to pay overtime for officers, and a $15,000 grant from the Indiana Department of Natural Resources for marine patrols. 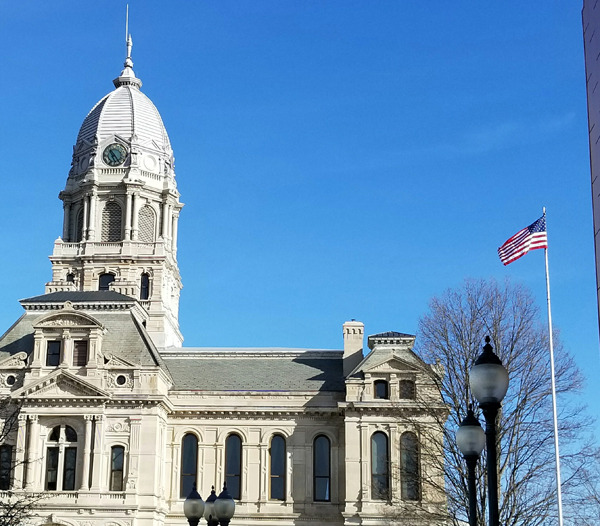 • An additional appropriation of $73,188 from the Motor Vehicle Highway Fund to help pay for a dump truck replacement, as requested by Kosciusko County Highway Superintendent Scott Tilden. • A resolution surrendering the Congressional Township School Fund on May 26. County Treasurer Rhonda Helser said the fund is being surrendered to the state treasurer, who will take care of it for the county from now on. Truex asked if it would eliminate a lot of record keeping and Helser said it would. County Council President Sue Ann Mitchell said there was $28,129.47 in the fund, which has to be invested on an annual basis. The interest has to be split among local schools, and the paperwork to invest the $28,000 on a regular basis has become cumbersome, Mitchell said. Helser said the fund came to the county on April 19, 1816. • An ordinance granting use of the records perpetuation fund to supplement the recorder’s office’s 2019 budget as requested by County Recorder Joetta Mitchell. It will pay for two salaries plus benefits and help with the county general fund. • A resolution adopting a policy allowing the county auditor to approve transfers and appropriation adjustments at $10,000 or less. County Auditor Michelle Puckett will provide the county council with a monthly report on what was done. • Twenty-five pages of encumbrances for 2019 from 2018 that have occurred so far. Puckett said this should be the bulk the council has to approve, with a few more coming here and there. • The reappointment of Sue Ann Mitchell to the Lakeland Regional Sewer District board.